What is Influenza? Cold versus Flu? What to do For The Flu? What is influenza? How can you get influenza? Telling colds and flu apart? 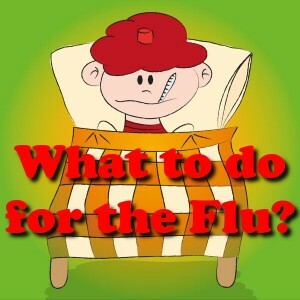 What to do for the flu? How long can flu last? Before becoming a dad, I paid little attention to questions like these. Then I learned influenza (flu) and the complications that result can be deadly, especially for young children and pregnant women, among others. I’m not going to debate the merits or lack thereof for flu shots here. I know some of you believe you can get the flu from flu shots, and though rare, there can be serious complications. Personally, I take the risk in order to protect my family. Beside vaccines, what can you do for the flu? Did you or any of your family members get an Influenza vaccine this flu season? Don’t think that makes you safe. Even if you did, you can still get the flu. As a dad I’ve tried to arm myself with as much information as I can to better protect my family. I’d love your tips in the comments! I’m not a doctor, so don’t treat this as medical advice. See your doctor or medical professional for that. The CDC’s Flu page also has a lot of good info. Here are some of the things we parents need to know about the flu. What is influenza really? The flu is caused by a virus. I’m sure you know this, but I’ll say it anyway, you can’t cure a virus with antibiotics which only affect bacterial infections. That said, colds and flu can sometimes lead to secondary infections. If you have flu symptoms and are at risk of complications, see your doctor right away. As I said above, young children and pregnant women are a greater risk, as are the elderly, people with weakened immune systems, and people who have chronic illnesses. There are prescription antiviral drugs like Tamiflu that if taken very soon after symptoms start may reduce the flu’s duration a bit. These drugs are not without their own side-effects, so let your doctor advise you on pros & cons. How can you get influenza? Good question. When someone with the flu coughs or sneezes (or even just talks) tiny droplets containing the virus travel through the air. We can then catch the flu by either inhaling the droplets, or by touching things the virus ends up on, and then touching your eyes, nose or mouth. Remember the cough in the crook of your elbow trick, and wash your hands thoroughly and often (and use hand sanitizers if you can’t wash them). I wrote another post you should read with 10 Surprising Tips: Avoid Colds and Flu this Year! Telling colds and flu apart. At first, influenza may seem like a cold. Both can cause a runny nose, sneezing and sore throat. But colds usually develop more slowly, and the flu hits you fast and hard. I always describe it as if feeling like I’d been hit by a truck. Symptoms of the flu include a Fever over 100 F (38 C), body aches (especially your arms, legs & back), stuffy nose, headache, fatigue, chills and sweats, and often a dry cough. What to do for the flu. 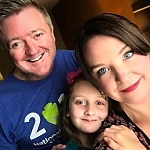 First, as a parent I want to remind you never give aspirin to children or teens because of the risk of Reye’s syndrome; though rare, it can be fatal. The standard advice we’ve heard since we were kids, still holds. Drink plenty of fluids and get lots of rest. Over-the-counter pain meds, like acetaminophen or ibuprofen can help with the aches associated with flu. If you have the option to stay home from work, do it for yourself and your co-workers. And I understand that grandma’s chicken soup will work wonders. You should also read my post on 7 Tips to Feel Better When You Are Sick. Most feel better after 1 to 2 weeks. What is your advice for avoiding and treating the flu?